Kyle Hilliard (@KyleMHilliard) – My video game time will be split between Call of Duty: Black Ops 4’s Blackout mode and Assassin’s Creed: Odyssey on Google’s streaming platform, which is pretty decent! Call of Duty has a setting where you can turn off the gore and make the zombies look cartoonish. I don’t know if that will be enough to make me feel comfortable playing it around the kid, but I really appreciate that it’s an option. Otherwise it will be a lot of relaxing after last weekend’s (and most of the week’s) birthday party extravaganza. Brian Shea (@BrianPShea) – This weekend, I have the good problem of having too many awesome games to play. I’m back from a vacation, so I’m planning on enjoying the consoles I was away from last weekend. I’m about 15 hours into Assassin’s Creed Odyssey and I’m loving it, but I’m always tempted to go play Forza Horizon 4. I like both games a lot, so it’s hard to choose between them when I sit on my couch. Add to that Black Ops 4 and Shadow of the Tomb Raider, and I’m absolutely drowning. No way I’ll get to all of them this weekend, but I’ll do my best! 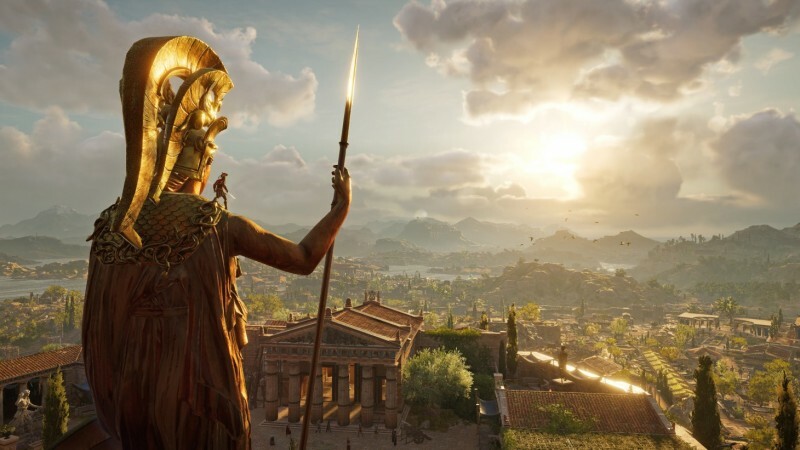 Jill Grodt (@Finruin) – This is my weekend for Assassin’s Creed: Odyssey! The bits of stolen time I’ve put into that game have barely made a dent and Red Dead Redemption II is looming on the horizon. But I may not be progressing in the story because I spend about half my time looking at the walls and pottery; musing on the game’s choices in the nerdiest way possible. Also, Halloween is coming up quick and I’m thinking I should start looking at costumes before everything is sold out. Leo Vader (@leovader) – I’ve been playing through Sleeping Dogs again and damn that game holds up. I’ve also been playing Maple Story 2 with some friends for pretty much no reason. So I look forward to those this weekend! Best time to be a gamer… ? Ben Hanson (@yozetty) – This weekend I’m planning on relaxing and sitting back with even more Forza Horizon 4. There’s always the lingering juggernaut of Call of Duty: Black Ops 4’s Blackout mode, so I’m sure plenty of folks will want to play that and I’ll go along for the ride. I love battle royale games and have had a blast with this thing so far. Also, I beat Wandersong last weekend and think you all should take a look at it if you like Night in the Woods or even something like Paper Mario. It’s a damn delight. Have a good weekend! Suriel Vasquez (@SurielVazquez) – Thinking about changing my PSN handle to “WHERESCASSANDRAIBNEI” and raiding Dr. Wily’s lab with my fireteam. Imran Khan (@imranzomg) – I’m stuck on Wily 2 in Mega Man 11 because I refuse to use items. I am going to be spending every waking second of the weekend trying to do it. Javy Gwaltney – [Gritty Voice] BLACKOUT.